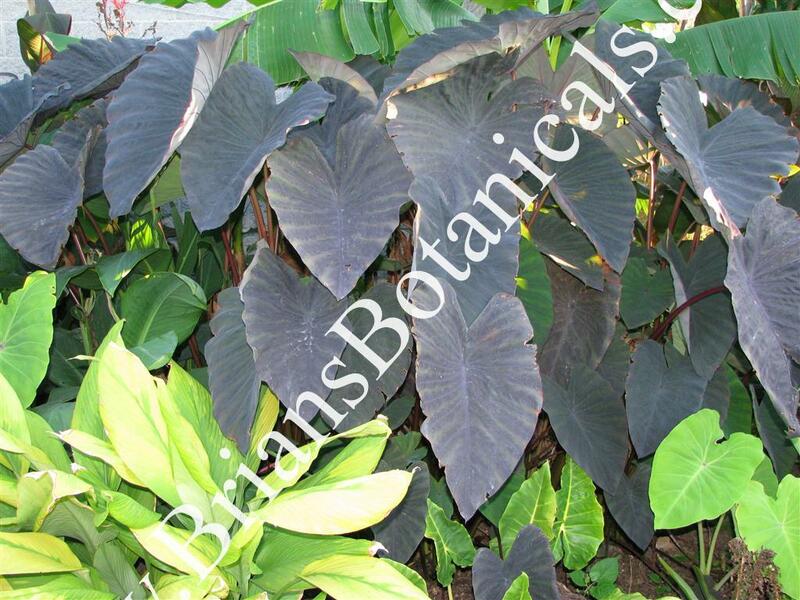 Colocasia Black Magic is one of the most dramatic foliage plants in the garden. It has been around for years and is believed to have originated out of Hawaii. Black magic has exceptionally dark purple to black foliage. The leaves are heart shaped, 1 to 2 feet long and 1 foot wide or larger. The new foliage is green and darkens in full sun. Plants reach 4 feet tall but I have seen a few 6 foot plants in well watered gardens. Plants for sale are in 4 inch pots.